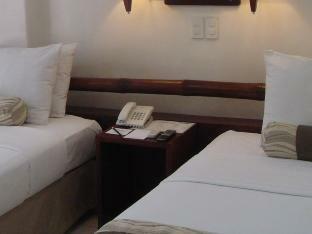 ﻿ Soledad Suites, Bohol - SAVE ON AGODA! Have a question for Soledad Suites? "The staff are nice and helpful in our inquiries." "The breakfast was good value, staff were great"
"Still a good value hotel for the money." 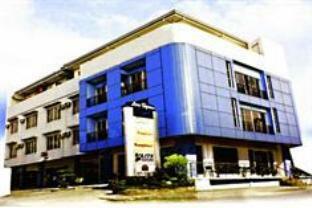 This boutique property is nestled in the metropolis of Tagbilaran. All 20 well-appointed guestrooms are facilitated with a lot of modern comfort to ensure guests an enjoyable stay. Amenities include an air conditioner, private bathroom with hot and cold shower, mini bar, and safety deposit box. Guests can dine at the on-site restaurant and enjoy a relaxing drink, an ideal place to unwind after a tiring day. Offering a selection of guestrooms that are well-designed to make guests feel at home, Soledad Suites is a perfect haven for guests seeking a wonderful vacation in Bohol. "It is also near the airport and the hotel provides free shut..."
Visiting different tourist spots in Bohol would be easy since the hotel is right in the city proper where public utilities are available. It is also near the airport and the hotel provides free shuttle service. Their breakfast at brewpoint was nice and the blueberry cheesecake was a hit for my kids. After coming from Alona Beach this room cost a fraction of the price and was so much better despite of being only a 2 star Hotel. The only thing really missing was a safe box. Breakfast good, free shuttle to port and airport. Staff very friendly. I wish more Hotels like that where the customer counts! the room is well maintained and cleaned. The services are good and with smiles. They also have a van to transport you from the hotel to the pier for free. WIFI available from room and lobby. The hotel price is ok. Very clean rooms. The staff was very accomodating. The food at the restaurant was excellent. i was not feeling well when i first got there and the staff went to the market and got me a cold medicine. on the second night i inquired about a prepaid cellular phone card and one of the staff ran to the market to purchase for me. truly excellent customer service! the food from the restaurant was excellent! the desert selection was crazy good too. The hotel itself is great! We were very pleased with big, clean rooms. Comfortable beds. The food in the lobby is also very good and reasonably priced. The hotel is in the city, a short walk from the large mall (where you can get everything you need for your vacation). Not the best location if you are looking to stay at the beach. The hotel is certainly the best in the city, if you need to be in the city. Due to a storm all ferries were cancelled and was stuck on bohol for a couple of days. This hotel was greag to spend the days. The location is very central, good hot shower and nice rooms for the price. There is a good bar/restaurant below to cater for your needs. This hotel was 5 minutes from the ferry terminal. The hotel itself is situated close to a few malls and shopping centres everything is about 5 minutes walk or the little trikes cost 8 pesos to ferry you round. The hotel is clean and tidy has everything a traveler needs staff are also very nice and can't do enough for you. Would go here again. The staff are nice and helpful in our inquiries. Check in and checkout was fast and front desk personnel were efficient. Place is just right for the price. The food in the restaurant was served a bit long. We waited for at least 30 mins for the two viands we ordered. Overall the stay was good and can't complain for the reasonable rates. Business hotel type amenities. Good breakfast included. Close to shops. Available tours or car/driver hire. Pickup and drop off for ferry and airport. Big room. Hot shower. AC. Great lattes in cafe. Very accommodating staff (delivered breakfast to room when I was laid up) and late check out. The odd flying bug in room. 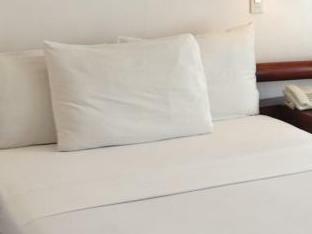 The hotel is conveniently located near the airport and the seaport, and good restaurants nearby. The staff was very friendly and helpful. The price was very reasonable. Overall, it was a very pleasant stay. Keep up the good work. We stayed here for one night and found the hotel to be in a very good location, with friendly and helpful staff who arrange our chocolate hills tour and pick up our early morning ferry tickets which meant we could have a much needed lie in. Good sized rooms, with breakfast included in price. Would return again. I had a pleasant stay at the soledad. The staff is very friendly and took care of all of my needs. The food is pretty good even though there is not much selection. The malls are very close all you have to do is pay 30 pesos for a tricycle and you can get to both malls fast. I would stay at the soledad again. 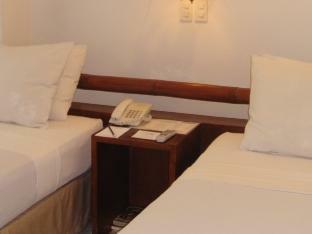 we were pleasantly surprised with our stay at the soledad suites hotel in tagbilaran. it's only a 5 to 10 minute ride from the airport and is conveniently located within walking distance of conveniences like shopping, etc. the hotel staff were very nice and the room was comfortable and clean. we will definitely stay there on our next visit to bohol! for the price, you won't find anything better! Coffee and cakes to die for. 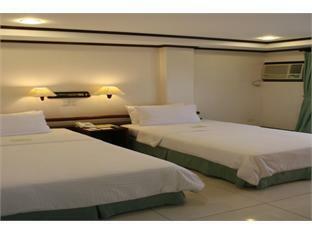 Whether on business or leisure, this will be a good choice for a place to stay in Tagbilaran, Bohol. The rooms are ample in size and the facilities are just enough for vacationing groups. There is free wifi in the hotel too. The place is not along a major thoroughfare but that is also a blessing since there is less noise from the motorized pedicabs. The only thing that they need to improve is the water pressure in the shower.